Some like it hot. Some like it smoky. You get both! 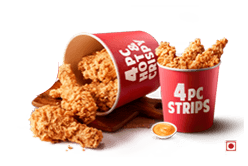 4 Hot & Crispy with 4 of KFC's Signature Smoky Grilled! 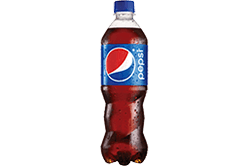 Save 40% with 4 Hot & Crispy, 6 Hot Wings, 6 Boneless Strips, 1 Pepsi Pet and 2 Dips. 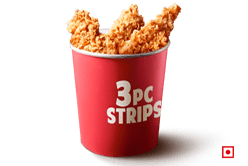 3's company when you bring together 4 Hot & Crispy with 6 Boneless Strips & 4 of our signature Smoky Grilled. 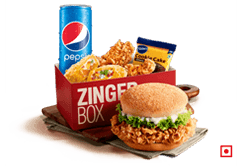 2 Chicken Zingers at an unbelievable price. Limited time only. 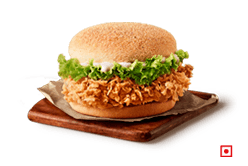 Colonel's signature Zinger chicken, an extra crispy fillet packed in a soft corn bun with lettuce & mayo! It's sweet & spice, with everything nice! Rice & gravy with a side of our special Smoky grilled. 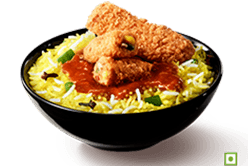 The classic rice and gravy with a side of veggie strips. An explosion of flavours with every mouthful. 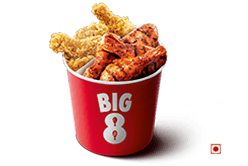 What's better than chicken? 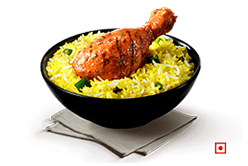 Chicken & Rice! 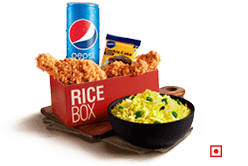 Rice & Gravy, 1 Hot & Crispy, 2 Hot wings, Pillsbury and Pepsi. 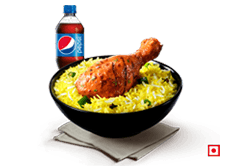 Need a quick decision for lunch?Try this mighty meal of rice & gravy with a side of Smoky Grilled + Pepsi. 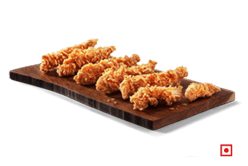 6 pieces of juicy Boneless chicken strips, for some "tender" love and care. 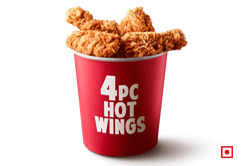 Spice up your day with Colonel's signature Hot Wings. A classic addition to any meal. 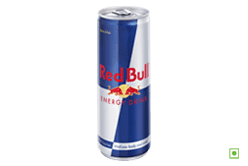 The perfect crunch-time snack! 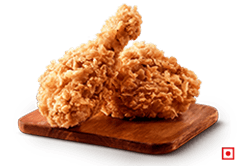 2 pieces of Colonel's signature Hot & Crispy. "KFC, a subsidiary of Yum! Brands, Inc. (NYSE: YUM. 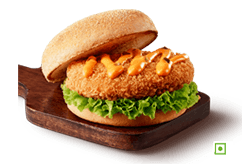 ), is a global quick service restaurant brand with a rich, decades-long history of success and innovation. 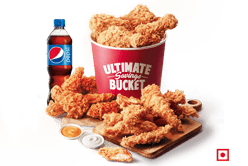 It all started with one cook, Colonel Harland Sanders, who created a finger lickin’ good recipe more than 75 years ago, a list of secret herbs and spices scratched out on the back of the door to his kitchen. 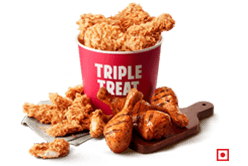 Today we still follow his formula for success, with real cooks breading and freshly preparing our delicious chicken by hand in more than 20,000 restaurants in over 125 countries and territories around the wo rld. 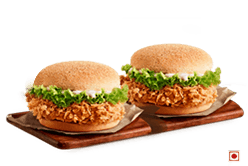 For more information, visit online.kfc.co.in "